Many of us understand how important it is for us to keep our heart healthy but little do we know about the valves of the heart. Heart valves are the tiny components of heart and play a crucial role in the functioning of the heart. These valves open and close constantly to regulate the flow of blood in and out of the heart chambers. The valves withstand around 80 million beats in a year which comes to around Five to Six billion beats in the life of an average person. The valves demonstrate an incredible strength every time they beat! Normal and healthy valves allow blood to flow smoothly and freely in one direction. They also close quickly and completely not allowing the blood to flow back. But what happens when heart valves don’t function properly? Let’s have a look at the consequences. Regurgitation – If a valve doesn’t close properly, it leads to backflow of blood. As a result of this, the blood instead of flowing forward into the heart or into an artery; leaks back into the heart chambers. 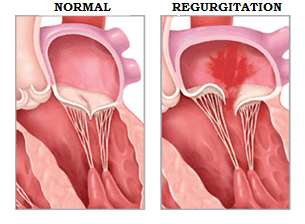 One of the common causes of regurgitation is valve prolapse which most commonly is seen with the mitral valve. Atresia – If a heart valve does not have an opening for blood to pass, the condition is known as atresia. 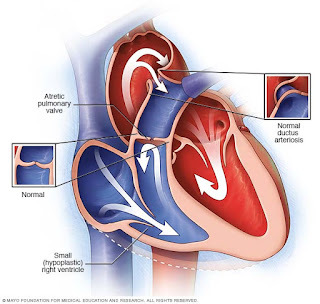 Stenosis – If the flaps of heart valve thicken or fuse, they prevent the valves to open fully. This causes lesser blood to flow through the heart valve. Many people with heart valve defects don’t show symptoms. For some, the condition may stay throughout their lives without causing any problems. Some people experience sudden and noticeable symptoms. While others can’t even notice the slowly developing symptoms. These include chest pain, lightheadedness, and shortness of breath, loss of consciousness, fatigue, weakness, and inability to maintain regular activity level, swollen ankles, feet or abdomen. It is important to note that symptoms may not indicate the seriousness of the problem. The problem can be severe with no symptoms or can be insignificant but with severe symptoms. However, if you are experiencing any of the above-mentioned symptoms, you must see a doctor immediately. A damaged or diseased heart valve can lead to heart failure, blood clots, stroke or even death. 1. Medication- Medication is usually the first line of treatment but is not the permanent solution. Surgery to repair or replace the valve is the long-term and permanent solution. Your doctor would guide you if you urgently need a repair/ replacement or your condition can allow you to wait. 2. Open Heart Surgery- It is the conventional way of treating the heart valve. The surgeon makes a big incision in the middle of the chest wall to access the heart. The diseased or the damaged valve is then repaired/ replaced. 3. Minimally Invasive Surgery- The technique offers various advantages over the open surgery technique. The downtime is less, recovery is quick, blood loss is less. However, not everyone is a candidate for minimally invasive valve surgery. Your cardiac surgeon will guide if you are a candidate for minimally invasive surgery or no. 4. 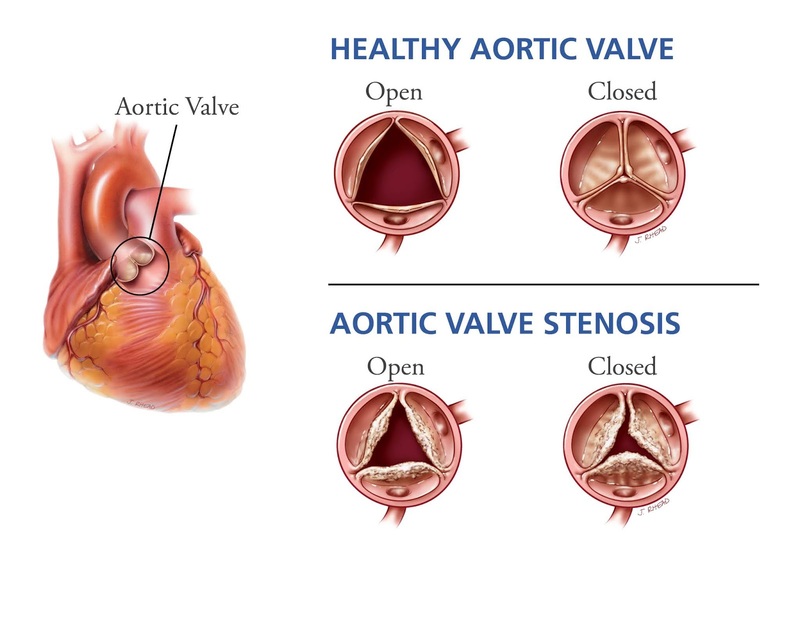 TAVR (Trans-Catheter Aortic Valve Replacement)- This is usually the option for patients who are diagnosed with severe aortic stenosis and are at greater risk for open heart surgery. It is a less invasive way of valve replacement. Results in quick recovery but not everyone is a candidate. Your doctor would guide you if you need a TAVR or other options are better suited for you. When possible, it is advisable to repair the patient’s valve than replace it with a mechanical device. It involves modifying the tissue or the underlying structures and implanting a band over it. Mitral or tricuspid valves are usually repaired while aortic valves are rarely repaired. When the valve is damaged beyond repair, the surgeon replaces it with a new valve, and the procedure is known as valve replacement surgery. The two common types of valve replacements are – mechanical (artificial) valve and tissue (animal) valve. The tissue valve is made of animal tissue, bovine’s pericardium (sac around the cow’s heart) or the pig’s heart valve or from a human cadaver. Mechanical valves are made of synthetic material. Both the type of valves have their own set of advantages and disadvantages. Though heart valve replacement surgery is common these days, like all surgical options of treatment, valve replacement surgery also carried its inherent risks. Every patient is different & so is his or heart ailment, and when it’s about repairing the ailing heart, the risks can be deadly and dangerous. The best and the foremost risk mitigation factor is the research on the abilities of the surgeon and the standards of the hospital where the surgery will be done. And why not this should happen when India has proved itself of being the most sought-after places for surgeries. Cardiac treatment at some of the best heart hospitals in India is at par with a similar hospital set up in the USA or UK, be it the medical infrastructure or the surgical techniques being used. 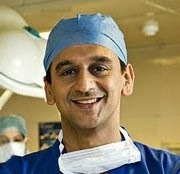 Indian cardiac surgeons have time and again shown to the world that they are second to none while adopting & perfecting these latest techniques for repairing the heart. Most of the top-notch cardiac surgeons in India have their qualifications or training abroad, making them as contemporary as the best surgeons in the world. And because of the exchange rate & low-cost advantage, this world-class surgery at some of the best heart hospitals in India is available at fraction of the cost it would cost in the USA or UK. Yes, it seems quite a task for relatives and friends to really seek good, dependable advice for the surgery. And when it will also involve traveling to another, unknown country it seems even more daunting and risky!! 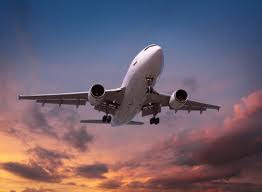 But mitigating the risk involved in Medical tourism is the pioneering efforts of IndiCure to make your medical trip safe and predictable. IndiCure does its extensive research on best hospitals in India and surgeons keeping in view International patients from western countries and chooses to associate only with best. This associations with only the best ensure credibility and excellence in the field of cardiac surgery for the international patients. To plan Valve replacement surgery in India at affordable rates with the pioneer of medical tourism in India, Contact Us or just send in an email to info@indicure.com with the latest medical reports of the patient, and rest assured for trustworthy guidance.